Statehouse How Strong is Shumlin's Stand Against Indiana's New Law? Gov. Peter Shumlin made a couple of pronouncements Tuesday about shunning Indiana that sounded bold – on the surface. But will they have an effect? Critics say the Hoosier state’s new religious freedom law opens the door to discrimination against gays. 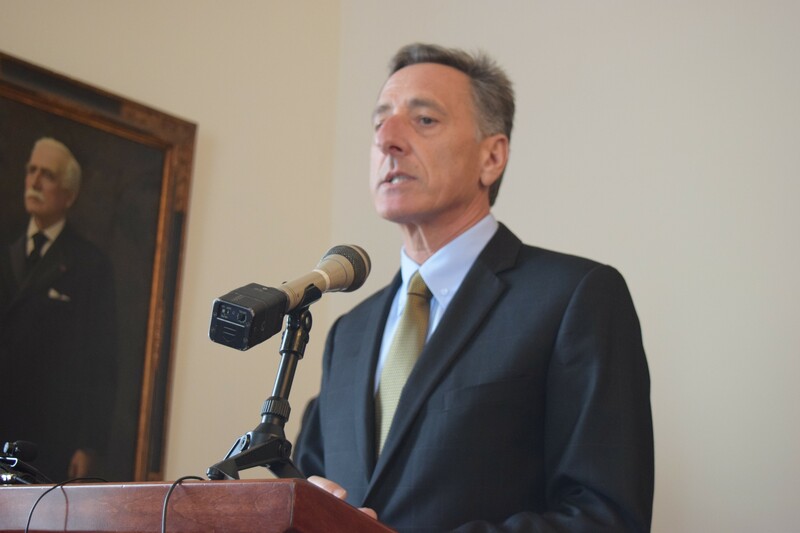 Shumlin joined several other states in banning official state travel to Indiana. He also invited a major labor union to relocate to Vermont the Indiana conference it had canceled in protest. Tough talk, right? But in these tight budget times, just how much are state workers traveling to Indiana? The governor’s staff was unsure. It’s quite possible the answer is none. And what about hosting the AFSCME Women’s Conference? Also unlikely. Several Vermont union officials said Tuesday that labor unions are pretty picky about holding their conferences in union-staffed hotels. Vermont doesn’t have any. In a letter to the American Federation of State, County and Municipal Employees, AFL-CIO, Shumlin touted Vermont’s legacy for promoting equal rights. (Shumlin also sent the letter to the news media.) But while Shumlin was chumming with the AFSCME, he didn’t mention that he’s not at the moment in very good standing with some of their labor brethren. Shumlin is at loggerheads with the Vermont State Employees Association after asking the union to renegotiate a signed contract to find $10.8 million in personnel savings. He’s also irked the Vermont Education Association over proposals to consolidate schools. Meanwhile, labor backers took another hit Tuesday when the Senate voted 14-12 against a bill, S.133, that would have barred employers from disciplining employees for using benefits such as sick days. The Senate passed a similar bill last year and watched it die in the House. Sen. Philip Baruth (D-Chittenden) tried again this year, saying he’d heard from workers who were given demerits that could lead to firing for taking legitimate sick days. The bill would still have allowed employees to penalize workers for misuse of benefits, such as taking a sick day to go skiing, Baruth said. “It’s a sad day,” he said. Business groups argued there was little evidence the bill was needed but that it could pose a burden on employers to prove they're firing workers for cause. “It would have had a chilling effect on employers,” said Bill Driscoll, vice president of Associated Industries of Vermont.